2013-'14 wasn't even supposed to be their year. A cap crunch and the subsequent lack of depth combined with past postseason failures to prevent many from taking the Penguins seriously as true Cup contenders. So, even though Pittsburgh cruised to another division title, the masses wanted to see how the Pens performed when it really counted before buying in. What they witnessed, though, resembled nothing more than a playoff roller coaster ride. Effort came sporadically. Execution lacked consistency. Results were mixed. After a shaky start against Columbus, the Penguins responded with two solid efforts (as long as you exclude, you know, that near-collapse at the end of Game 6) to close out the upstart Jackets. And, though Pittsburgh started the second round with a dud, the squad followed Game 1 up with arguably its greatest stretch of the season, looking like world-beaters for much of the next three contests. Suddenly, hope blossomed while expectations escalated as the Pens surged toward a second consecutive Conference Final appearance. Then, it all fell apart. Pittsburgh found itself with three opportunities to deliver the knockout blow, and wiffed on each. The only thing burning more brightly than the resulting dumpster fire ignited by this latest playoff debacle came courtesy of the flaming arrows hurled by enraged fans. Outside of the organization, everyone immediately offered suggestions (demands?) with regards to how the Penguins should proceed during what promises to be an uneasy summer. Some appear quite likely (a coaching change), some are plausible (a new G.M.) and some are just absurd (trading Evgeni Malkin). In the end, turnover is guaranteed with so many players approaching free agency but would anybody truly be surprised if the Pens pull the trigger on a trade or two in an effort to further shake things up? If such moves are in the works, Shero (or his replacement) would be wise to, at the very least, listen to virtually any offer that doesn't include Sidney Crosby or Malkin. That being said, short of an unbelievable offer, Kris Letang is one player the Penguins should not be looking to move this summer. Without question, Letang represents one of the most polarizing athletes in Pittsburgh. Despite providing the Penguins with one of the most dynamic blue liners in the game, there are those ready to ship him and his contract out of town. Because while his future $7.25 million cap hit really isn't that outlandish for a defenseman of his caliber, it does raise an eyebrow in Pittsburgh where the team will annually shell out over $18 million for the foreseeable future in order to keep two of the greatest centers of this generation in the Steel City. And, while a "Big Three" model may drive success in the NBA, many question its long-term functionality in the NHL. 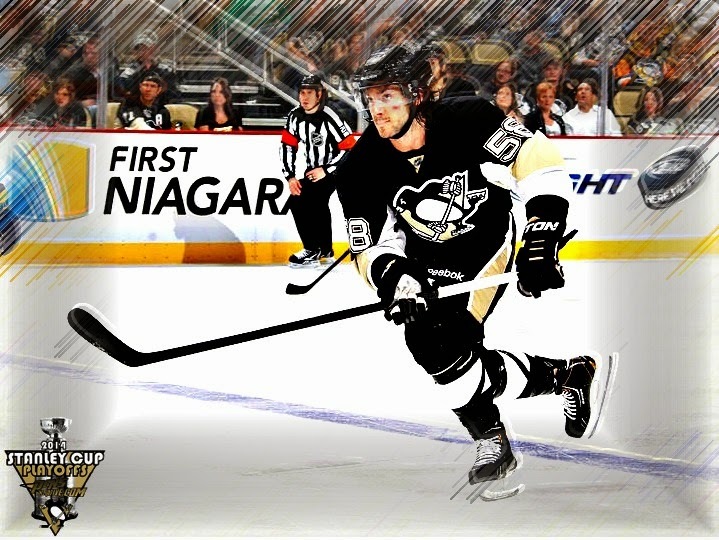 So, the question becomes, does Letang bring enough to the table to warrant a "Big Three" in Pittsburgh? Some would say the Penguins shouldn't pay north of $7 million for a defenseman who isn't a true power play quarterback. Play that card all you want but the Penguins have gotten by without such a player for several years now, always ranking near the top of the circuit with the man advantage. Ultimately, throwing Crosby and Malkin on the ice helps fill that void. What's more, Letang provides the Pens with one of their few right handed options on the power play, making the unit (when deployed properly) more multi-dimensional. Aside from the alleged power play deficiency, Letang can admittedly make poor decisions at times. Specifically, his decision making with the puck can sometimes prove maddening. Egregious turnovers often prove costly, leading to glorious opportunities in the Pittsburgh end. Obviously there are no guarantees, but a new system under a new regime could conceivably benefit Letang (and the rest of the defensive corp), curbing the high-risk/high-reward play in the Pittsburgh end and the glaring turnovers that often came with it. For starters, Letang provides the Penguins with a rare talent on the blue line, a thoroughbred capable of playing 25+ minutes every night. More importantly, he plays the tough minutes, consistently squaring off against an opponent's top players. Furthermore, outside of Erik Karlsson, he's arguably the premier offensive defenseman in the league today, capable of producing better than a point per game. So, if you're going to trade Kris Letang, you better get a hell of a return. But, if the Pens truly have interest in dealing the star defenseman, they aren't likely to get the return they want. Because, given his recent health scare, more than a few teams may hesitate to take on Letnag and his long-term contract. That's not meant to be insensitive, it's just the nature of professional sports. Teams simply aren't as likely to give up as much for someone with the history the former-Norris finalist brings to the table. What's more, Pittsburgh could potentially lose more leverage if they don't swing a deal quickly. Because, when Letang's new deal kicks in this summer, his limited no-trade clause will kick in, further handicapping the Pens ability to receive full value for what could admittedly represent their biggest trade chip. But this is where the Penguins need to be careful because, in reality, acting too swiftly could lead to another problem. Pittsburgh already sits poised to lose two prominent blue liners in Brooks Orpik and Matt Niskanen to free agency. Assuming a trade would serve to bolster the oft-maligned forward unit, can the Pens really afford to move another experienced defenseman, leaving the club with only half of this season's top-six rearguards? In the short-term, how could blue line depth still be considered a point of strength with only three regulars returning (Paul Martin, Olli Maatta and Rob Scuderi)? Sure, Robert Bortuzzo could step up and no shortage of prospects eagerly await an opportunity at the next level but a potential exodus of three blue liners produces a significant hole that needs to be filled immediately. The Penguins may have a couple of prospects ready to make the jump but are they ready for significant roles? After all, not everyone will make the jump as seamlessly at Maatta. In the end, from a strictly on-ice perspective, moving Letang just doesn't make sense. He brings too much to the table for a blue line already likely to lose significant depth this summer. What's more, the Pens aren't likely to get the value in return that they would surely covet in any deal involving the dynamic blue liner. Yes, coupling Crosby, Malkin and Letang's contracts will make navigating the salary cap a tricky prospect. But, in reality, the Pens possess other avenues they should explore in an effort to alleviate the issue. That, however, is the topic for another article. Nisky is better than Letang. No one in their right mind would ever take Letang and his contract off our hands though. So getting rid of Letang and signing Nisks is impossible. Letang is the next Luongo. Albatross contract except Vancouver found someone dumb enough to eat the contract. It's like Scotty Gomez x1000! Just bad.